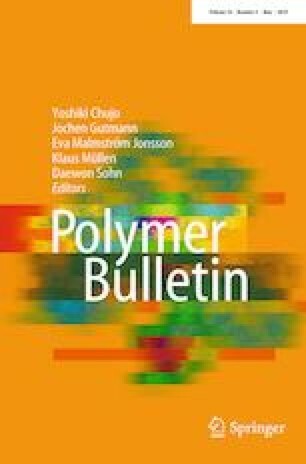 Solid-state polycondensation process of recycled polyethylene-terephthalate and its effect on crystalline structure and mechanical properties were investigated. A three-phase morphological model was applied for the evaluation of crystalline structure, while mechanical properties were determined by dynamic mechanical analysis. The effect of solid-state polycondensation process on morphology was investigated and described in detail. A new method was used to analyze the effect of solid-state polycondensation process on mechanical properties. Relationship was found between evolved crystalline structure and storage modulus of samples. This research was realized in the frames of TÁMOP 4.2.4. A/1-11-1-2012-0001: “National Excellence Program—Elaborating and operating an inland student and researcher personal support system.” The project was subsidized by the European Union and co-financed by the European Social Fund. The infrastructure of the research project was supported by the Hungarian Scientific Research Fund (OTKA K109224).